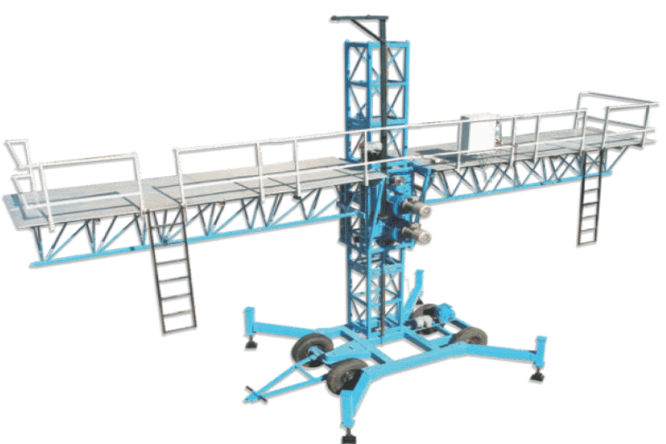 Universal | Tower Hoist Available in 10H.P & 15 H.P. 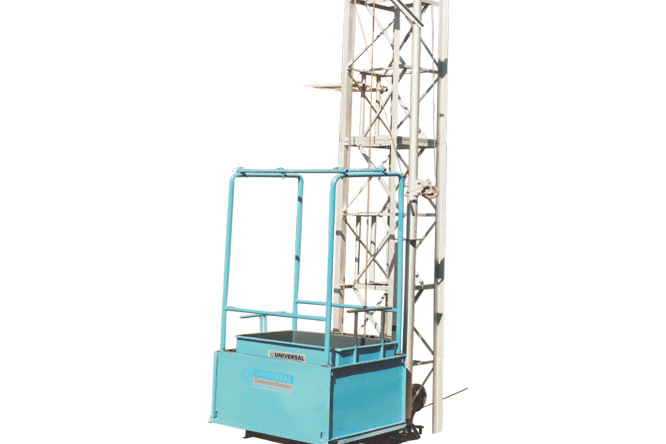 The Tower Hoist is used to transport material (Cement, concrete, sand etc.) 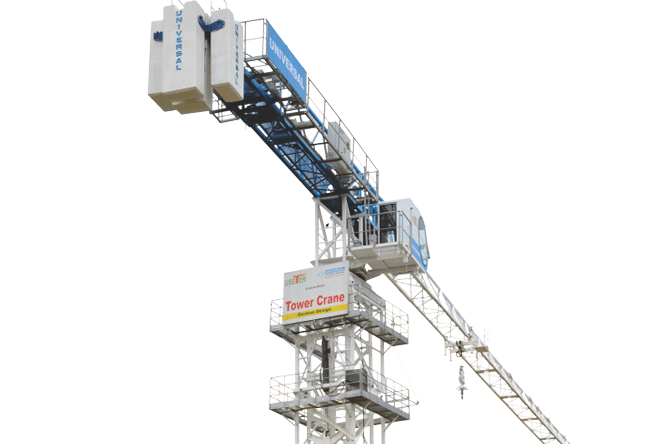 up to a height of 200 feet. This is available in two variants viz. the 10 H.P and 15 H.P. 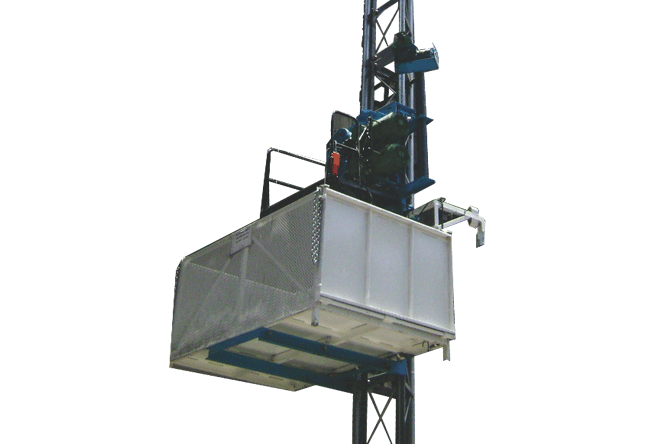 The hoist is powered either by a diesel engine or an electric motor and requires minimum power for its operation. Specifications are mentioned below for 10 H.P. and 15 H.P. variants respectively. Power – Powered by a Diesel Engine or an Electric Motor. Available in 10.H.P and 15 H.P. 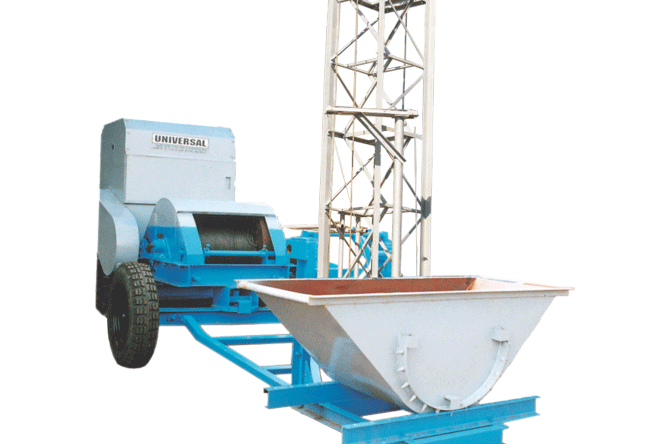 Gross Capacity – 600 Kgs. 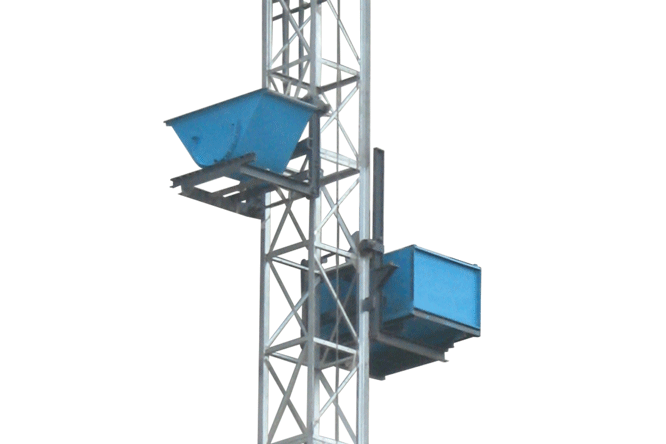 Maximum Height – Up to 60 /200 Ft. Maximum Speed – 25/33 Mt./Min. Column – 60 Ft. in 50 X 50 X 5 mm / 65 X 65 X 8 mm Cross Section. 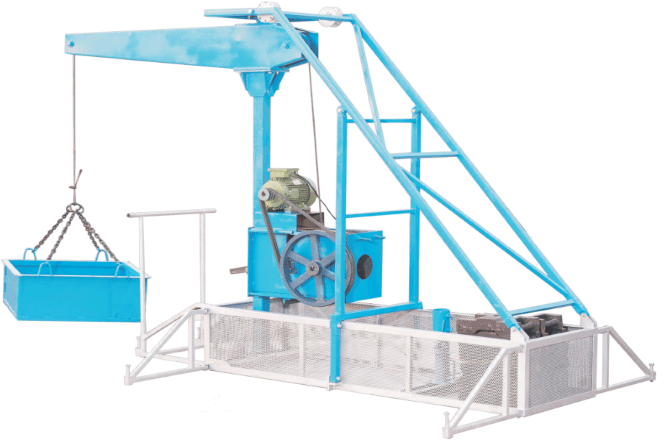 Skip Unit – 0.3 Cu.Mt. (With Safety Lock).